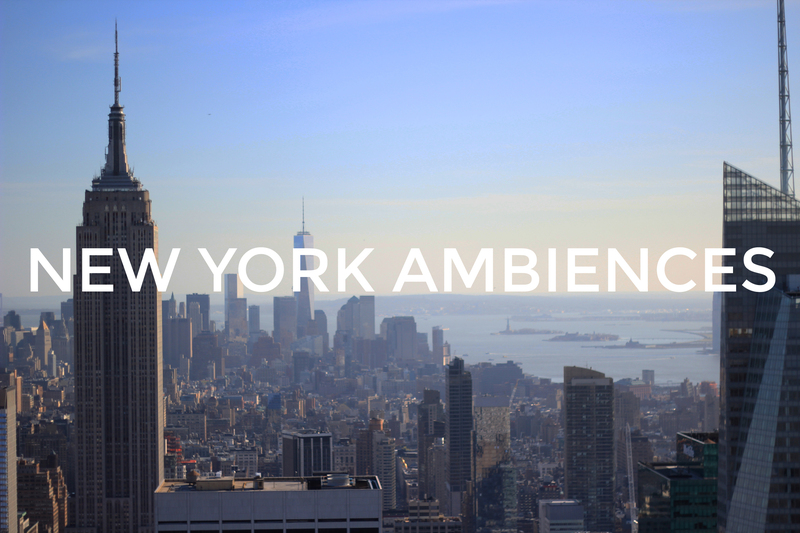 In the spring of last year I went to New York with my family for a week and decided to try to get the best recordings I could whilst I was there, without annoying my family in the process! I always take a portable recorder with me on holiday but having just got a pair of DPA 4060 omni mics and having used them to capture ambiences around London (one of which can be heard in the City Skylines theme) I knew that they handled city ambiences really well, so I was excited about trying them out in New York. 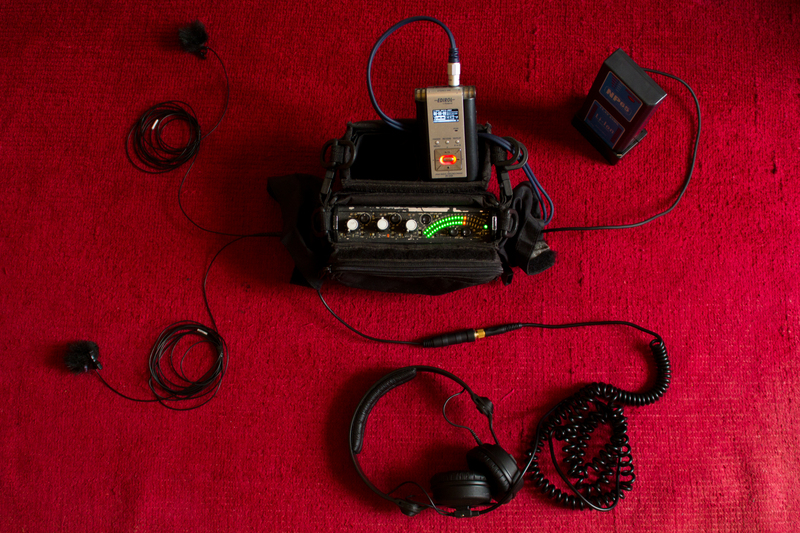 It comprises a pair of DPA 4060s into a Sound Devices 302 mixer which feeds an Edirol R-09 recorder. The 302 is powered by a Hawk-Woods NP65 battery, which never seems to run out, the R-09 by rechargeable AAs, which never seem to charge up. I monitor with a pair of Sennheiser HD25s. All of this fits quite neatly into my shoulder bag and with the mics clipped to the far sides of the bag I get a good 40cm spacing. 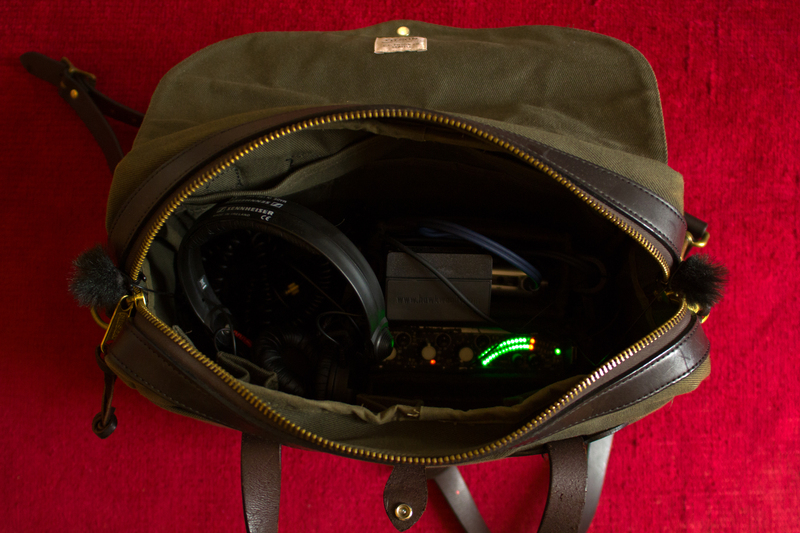 Also, it’s very stealthy as all anyone sees once the flap is closed are the Rycote windjammers peeking out either side of the bag. Most of the recordings were made with the rig in the bag over my shoulders whilst I stood still and looked nonchalant. However, the longer Canal Street recordings were made with the mics set up outside my bedroom window in the flat we were staying in. I was really happy with the recordings other than a few issues that I encountered, which I’ve detailed below. The 4060s have incredible low end response and lovely mid detail which really helped to capture the characteristic acoustic that New York has. Combined with the clean quality of the 302 preamps, along with its detailed metering and quality limiters, it’s a setup which does a great job of recording really dynamic things like the Canal Street traffic. I did vacillate a little about whether to roll off some of the low end in the recordings, but in the end decided not to and to leave it up to the end user to decide how much of it they wanted to use themselves. 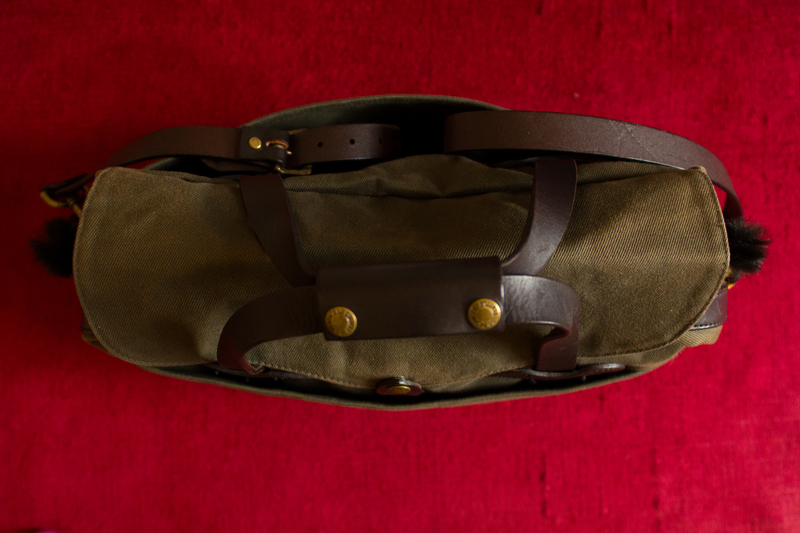 My major issue with the setup is that in motion whilst over the shoulder, the metal clips attaching the strap to the bag click with every step and I lost some good material because of this. 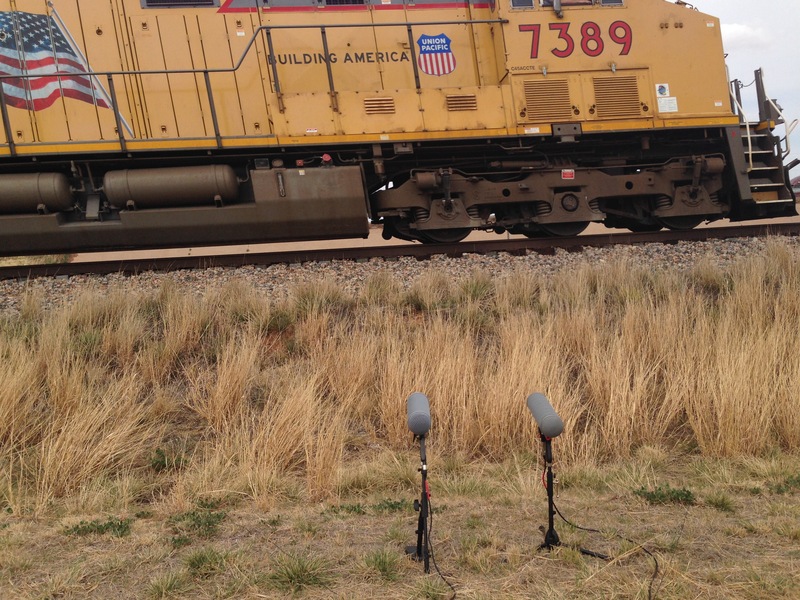 I could probably have gone through those recordings and taken out each click with RX, but they were so frequent and loud that I think it would have badly affected the sound quality. There are a couple of recordings in the library that I made whilst walking slowly where this issue didn’t arise (the Staten Island Ferry terminal recordings) but I think in future I need to find a way to damp this sound or alternatively carry the bag handheld. I lost what could have been a really good skyline recording that I made at the top of Morningside Park because I lost one of my windjammers coming out of a crowded subway and so didn’t have adequate wind protection when I got to the park some hours later. I now carry an extra pair of windjammers as backup wind protection, as those Rycote ones are none too secure and the foam covers don’t stand up to serious gusts. The one recording that I was seriously annoyed about not getting was a beautiful skyline that I tried to record from the 7th floor balcony of the New Museum on Bowery. Unfortunately, and unsurprisingly, it’s very popular with visitors taking pictures, so instead I have a beautiful recording of people’s camera shutters clicking. If I’d been there on my own I would have stayed for as long as it took to get a clean take, but I sacrificed the recording to keep familial peace intact! All in all I think it was a worthwhile set of recordings to make that taught me a lot about the strengths and limitations of this setup and of this style of stealth recording in particular. In the end I recorded over six and half hours of material, which I edited down to just over three hours for the library. As a taster for club members, there’s an alternative take in the Echo Space theme of the Frick Collection Garden Court, a lovely, echoey marble hall with a fountain in the centre. There’s also a recording in the Car Passes theme of some passes on a cobbled street that I recorded whilst there. I hope it turns out to be a useful library and my thanks to all the club members who share their great recordings! 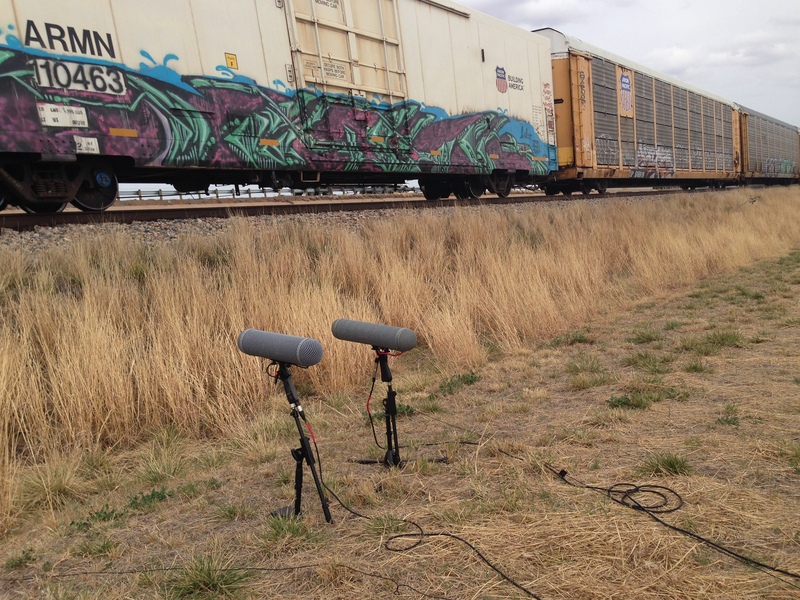 Kyle describes how he approached the freight train recordings he’s shared with the club, over on his blog. I was driving home last week down my normal route which is a 4 lane street next to a highway that runs across an active rail track. I noticed that a bus was stopped at the intersection even though the light was green, and then a split second later I realized that the train crossing gate was coming down. I zoomed up to the crossing in my car and stopped as quickly as I could, and then I looked left. 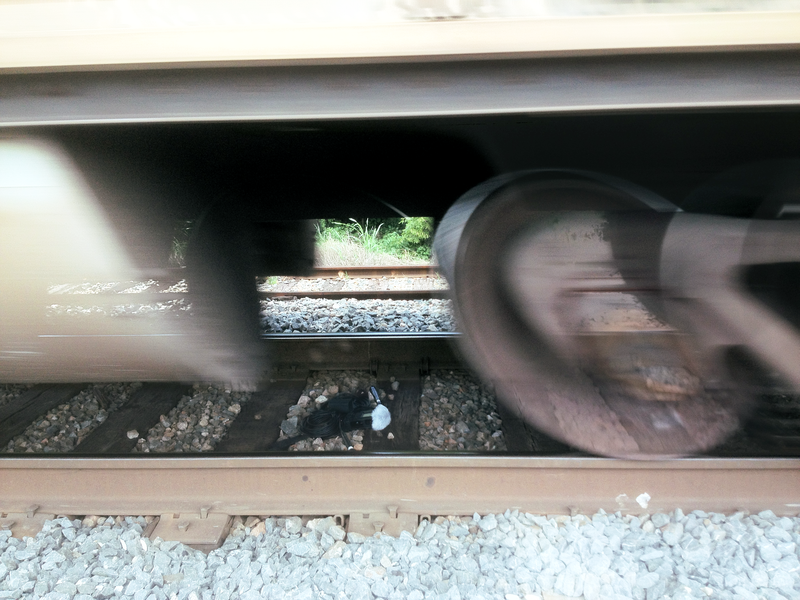 Sure enough, a giant freight train was approaching less than 50 meters away. Its actually a fair amount to get exactly right in that short of a period of time, but I managed to do it and just barely caught the horn as it began to blow. The train gave me a nice full blast right as it entered the intersection 10 feet in front of my car and I managed to capture it without clipping anything. Once the horn was by I just popped the recorder up on the roof of my car and let it roll while the train continued passing. By then other traffic had pulled up and stopped around me and the bus as well. – I can get from zero to rolling in about 5 seconds if my tools are set up around me well. – The PCM 10 even in high gain mode can record incredibly loud sounds without clipping. 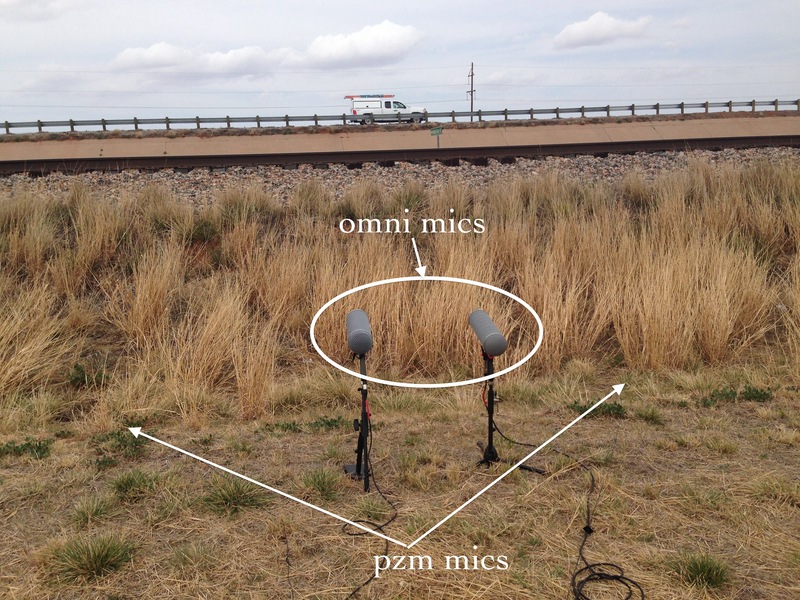 Mics may have clipped a bit, but its really difficult to tell if that was them or just the air ripping around. I received a contribution to the ‘Wind’ collection recently from club member, Kyle Hughes. It was called ‘Wind Howling Through Swampland, Uncertain, TX. Now, to Americans this is perhaps not that out of the ordinary, but as an Englishman, I was fascinated by the name of this place and that it seemed very remote – and a little eerie! 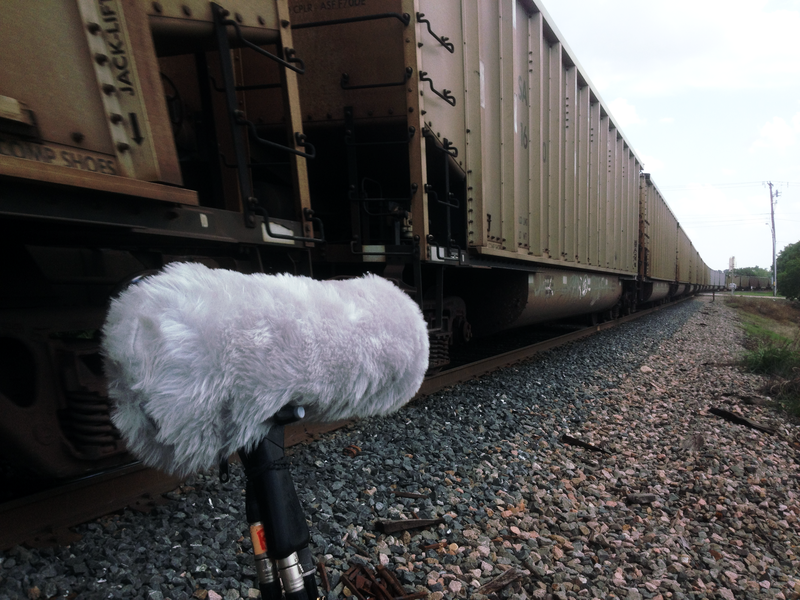 Anyway, something I want to do more of this year is try and get members to write a little bit about their recordings when something out of the ordinary catches my ear or eye – Field Notes, if you will. 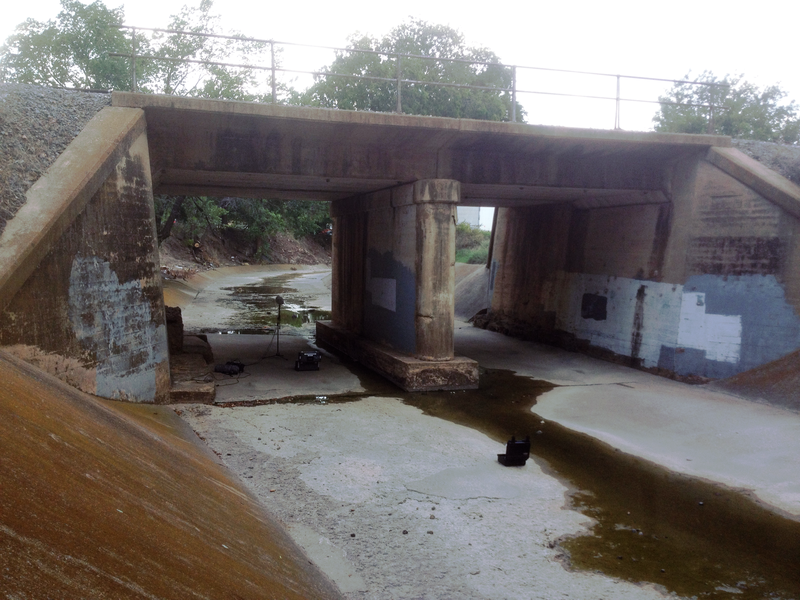 In this case, Kyle kindly agreed to tell us a bit more about Uncertain, TX. Hi, Michael asked me to follow up on a recent upload to the ‘Wind’ collection. 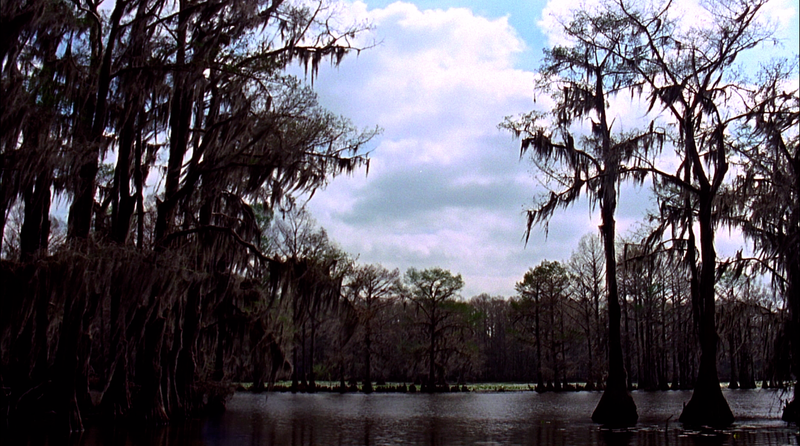 The reason is that it was recorded in such a remote location; i.e., the swampland of Uncertain, TX, USA. It’s funny- on the drive East, there is a point at which the landscape changes- the trees are all tall pines; it’s like a dividing line. One night, a few crew members and myself ventured out to a dock on a small pond surrounded by a thick forest of trees. The trees are always covered in a great deal of moss that hangs from the branches, and in the winter it’s all brown and dry. I decided to record because of the howl that the wind made- we were surrounded by trees, but there was open air over our heads. In the distance, I could hear some strange sounds- cars driving over cattle guards, maybe, as well as a distant train blast. If anyone is interested in seeing the actual short film, you can contact me and I’ll share a private link. It was a student film, but it did have some moderate success, traveling around the world. As far as equipment, it was shot with an ARRI SR3 on Super 16mm film, and all audio was recorded into Sound Devices 702′s, primarily using the Sennheiser ME66. It is a fascinating place. I find it as intimidating as it is relaxing- welcoming, yet unwelcoming by the twisted natural beauty that comprises it. There are no tourist attractions besides the humble, local diner and twice-a-month flea market. In spring, the colors turn to green and the birds and gators come out. I’ve heard that the town “Uncertain” was given its name because the line dividing Texas and Louisiana was unclear, due to the widespread swamp-lake. That’s about it- if you’re from the states it may be nothing new, but it’s even quite different from where I live, just a couple hundred miles away. Worth a visit, I’d say. London Echo Space Meetup Anyone? I’ve been mentioning my intentions for a recording meetup to a few people for quite a while now but haven’t had a chance to really give it much thought……until now! I was having a quick scan of the internet the other day looking for interesting ideas for Echo Space, this month’s sound collecting theme. 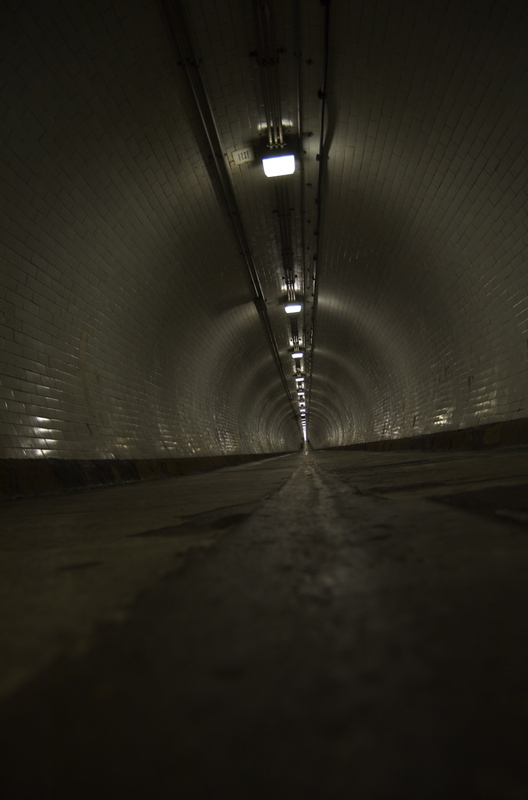 My first thought was to find out about the Woolwich and Greenwich foot tunnels under the Thames but as far as I can tell from online comments these tunnels are closed for refurbs at the moment. (Apologies to Juan Gil and Tom Lawrence if i’ve misunderstood the licensing terms of the audio and image. I’ve taken it as a typical creative commons agreement: i.e. usage is ok if non-commercial and author-attribution is given, but obviously I’ll remove them immediately if there’s any issues with that). Anyway, if I’m wrong and these are open then it’d be great to go and get our own recordings if anyone’s interested. 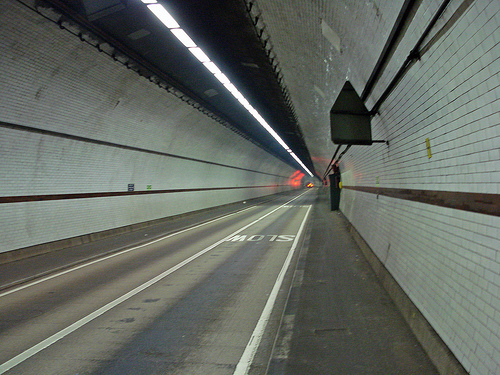 However, if they are closed then there’s always that glamorous London destination, The Rotherhithe Tunnel, which I’ve seen described online by a non-soundie as ‘an acoustic hall of mirrors’. Bingo! The tunnel’s right near to some nice pubs on the river so perhaps we could meet up at one of them and then have a quick recording sortie into the tunnel (don’t personally fancy walking right the way through it!) before returning to one of the pubs for a couple more jars. Let me know if you’re interested; leave a comment here or DM me. I finish my current film project next week so from then until early May is best for me. One thing’s for sure – if no-one comes I ain’t going down that tunnel by myself!